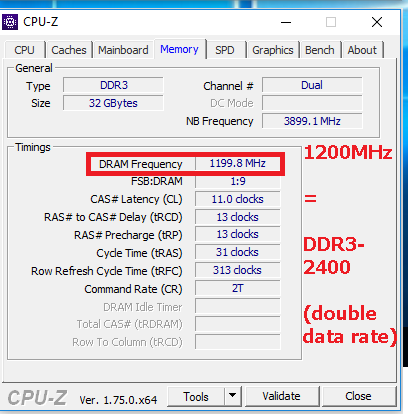 i have set the dram frequency to 2400 however on the start up bios screen it shows all 4 rams running at 1300 mhz. I will enclose photos of the CPU-Z tests, please can someone let me know if everything is working fine and my ram will run at 2400mhz or if i need to change anything. please note on the spd settings, all the spd slots have identical readings so i have only screen shotted one. >> The official G.SKILL Memory Frequently Asked Questions (F.A.Q.)! << | [pictures] Show off your G.SKILL products! Everything look spot on, perfect. All times are GMT-8. This page was generated at 04:11 PM.